Over the past 20 years, architect Ron Shaw and his firm R.A. Shaw Designs have become synonymous with impressive architecture that captures the spirit of island living. 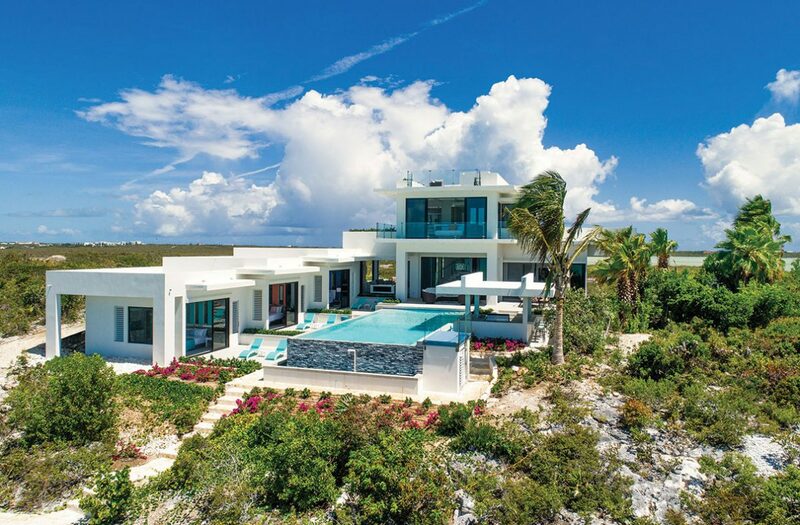 From initial concepts through completed projects, the Canadian expat put his mark on many of the most awe-inspiring homes in Turks & Caicos. 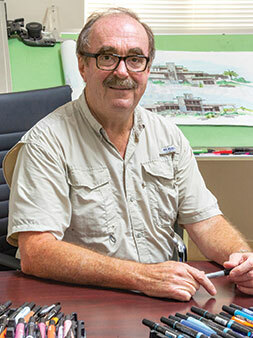 Architect Ron Shaw has been designing homes in the TCI for over 23 years. In 2018, Shaw passed a new milestone: Handing off ownership of his firm to a new group of Canadian developers. 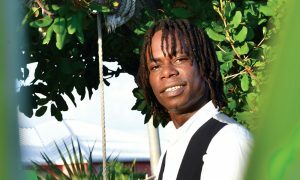 Shaw founded his full-service architectural design and construction firm R.A Shaw Designs in 1998, four years after he and his wife, Karen, purchased a vacation home on Providenciales. 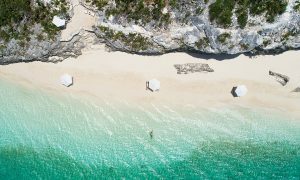 His work quickly began accumulating international design awards, enhancing Provo’s global reputation as a world-class luxury travel destination while helping define a distinct TCI architectural style. 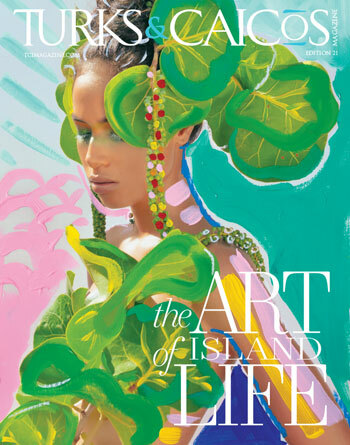 But as he entered his early sixties, Shaw found his interests shifting toward a new phase of life, one with a focus on the creative aspects of designing homes and having more room for travel, friends and family. Enter Kerry Haakonson and Marty Gunderson, Canadian developers from Alberta. But, Haakonson knew he needed a business partner to make the enormous life change a success. 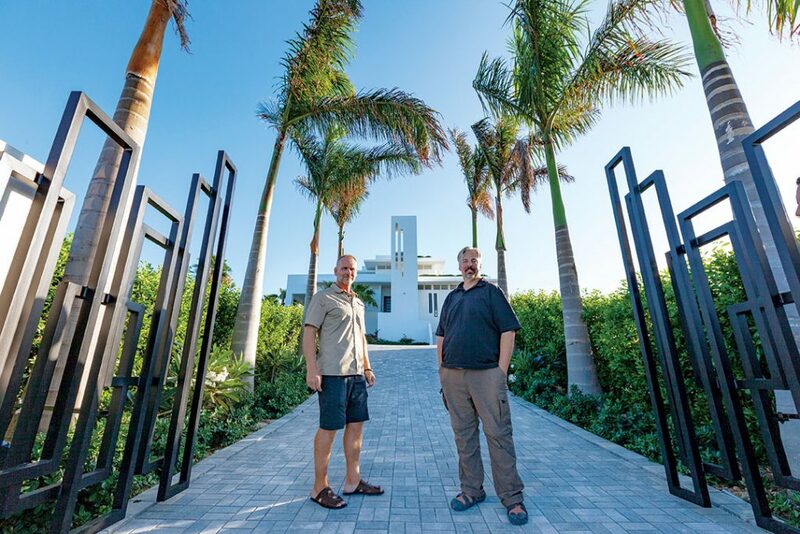 Canadian natives Kerry Haakonson and Marty Gunderson are combining their experience in sustainable building practices with R.A. Shaw Designs’ international reputation for exquisite homes. Gunderson’s path to a development career ran through finance. After establishing himself in portfolio management, he found his way into lending capital for land development. His involvement in day-to-day operations grew over time, and he eventually became a developer himself. After collaborating on several projects with Haakonson, the two came to admire and respect each other. “I really enjoyed working with (Kerry), and understood all our mutual strengths and weaknesses, which, I think, is important in partnership,” Gunderson said. Haakonson and Gunderson have already finished four home projects on Provo and are nearing completion on a 12-building project in Long Bay. The firm is growing, and the new owners are making plans to introduce more sustainable building practices to the islands while extending their reach into other Caribbean markets. “We are going to be designing and building for clients, but we are also going to be doing our own projects as well,” Gunderson said. Wherever that expansion takes the business, TCI will continue to be home for the owners’ families. Both fathers say they’re thrilled by how their families have embraced Provo and how Provo has welcomed them into the community. “Watching the family grow into the island has been the greatest part of the adventure,” Haakonson said. Focusing on design, Shaw will continue to provide the inspiration behind the firm’s builds as a consultant for R.A.Shaw Designs.